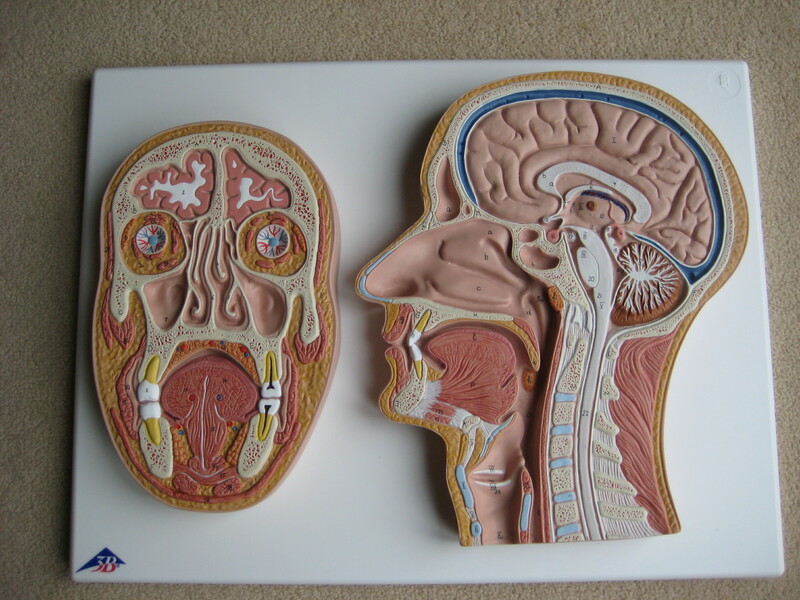 This model was first mentioned last year by the consultants at the clinic at the Ipswich Hospital after a patient wanted to see a diagram of exactly where his cancer was actually located in relation to all the other organs and Mr Hilger believed it would be most useful to have a detailed model of the head and neck which could always be used to assist the explanation and help patients understand what was involved when receiving a diagnosis of a cancer in that area. Steve and Dave, our clinic volunteers picked up on this and suggested to the Group that this really was a project that comfortably fell within the remit of why our Support Group was founded and the Committee supported this purchase for the clinic. So, our offer to purchase the Medial & Frontal section of a head & neck was gratefully accepted and chosen by Mr Hilger on behalf of the Multi Disciplinary Team (the MDT) and is now in use.